Also on the list, though, is novelty chocolate. Excited? Oh boy, us too. The treats will be available from January 7 and’ll set you back a respectable £1.50 for a bag of 100g or 69p (oi oi!) for a smaller 39g. 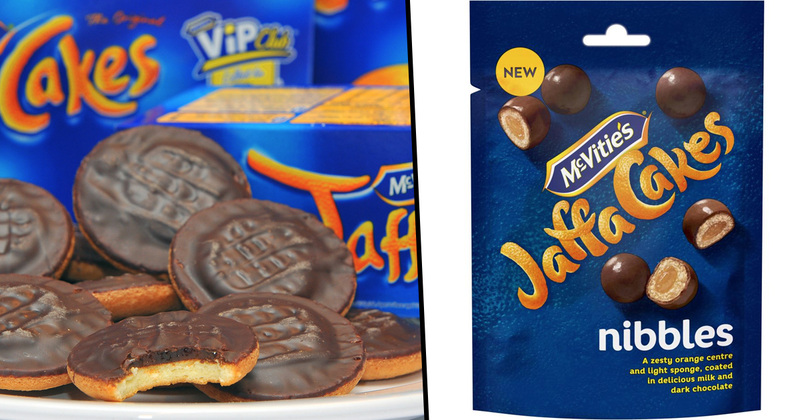 Essentially, they’re Jaffa Cake Maltesers, the likes of which you’ll be able to find these in supermarkets across the country. Don’t let the haters get you down, BTW, chocolate is kinda good for you. That’s right, a drink or bar of your favourite brown stuff, taken along with zinc supplements activates a compound which slows down ageing, according to a study, the MailOnline reported early last month. This compound combined by the treat/zinc combo reverses the ‘internal stress’ which naturally accumulates and has been linked to ‘everything from cancer to Alzheimer’s’. Chocolate, tea, as well as coffee and wine contain, the antioxidants polyphenols, which help combat cell damage. Researchers from the University of Erlangen–Nuremberg found the zinc polyphenol activation protects against a gas produced as a waste product in cells. It’s this waste gas which can damage a person’s DNA – oxidative stress – and is thought to play a key role in ageing. There’s also reportedly a link between this stress and inflammation which can cause cancer and diseases like Alzheimer’s. Polyphenols on their own can’t break down this damaging gas (oh behave! ), but when combined with zinc they create a ‘mega complex’. This mimics the naturally-occurring superoxide dismutase enzyme which destroys the gas, helping protect the body from its effects. The German study is the first time the effects of the enzyme have been copied without resorting to the chemical properties of metals such as iron or copper. Excessive exposure to these can cause their own internal stress, however zinc is much less toxic. Basically have the stuff in moderation, like all the finer things in life. Blessed be the consumer. Merry Christmas and to all a good night!